I've been opening up Upper Deck products for the past few weeks so I thought I'd change it up a bit with Panini's Certified this week. Sadly, my original video messed up so I had to re-do it. You'll see me open up a free blaster of Texas Longhorns football cards in my new video before I do a recap of the Certified. If you're not into football at all, just fast forward to the last part of the video. Certified is always a great little blaster to open up because the product is rock solid and a hit is guaranteed. Most of the time you'll find a jersey card inside, but autographs and patches are definitely available to be found as well. Out of all the blasters you can get, I would say Certified might just be one of the best deals out there when you can find them discounted. Since I messed up on my fist video attempt, you'll also get to watch me open up a blaster of Texas Longhorn Football cards by Upper Deck. I just chose this blaster because of the slim chance to get a hit. I was wondering when I would have the chance to open this up... well... today seemed like the ideal day. The Longhorns blaster was pretty boring since I don't have any interest in that team or school. I suppose if you went there or follow them, this product would be great - but for everyone else it would be a product to avoid. 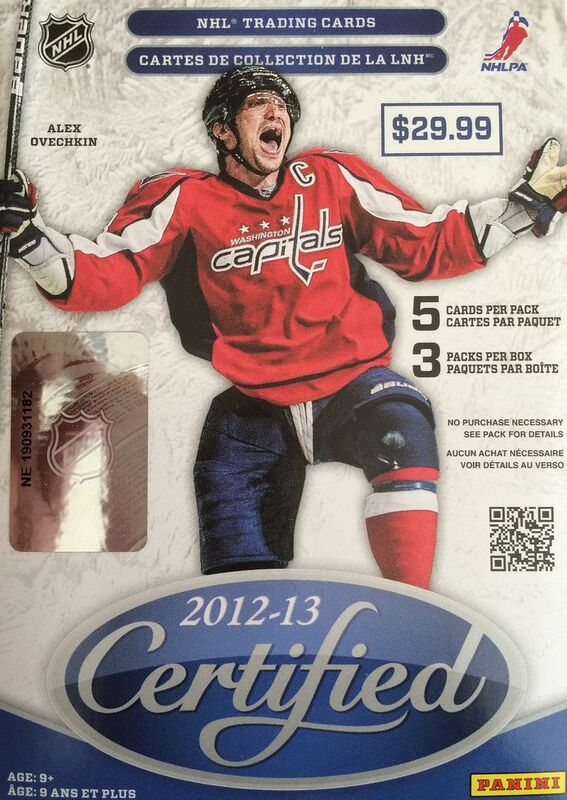 I wonder why Upper Deck chose to make a product like this. They knew it would really only appeal to a very limited audience. If I were them I would probably really make it limited and sell it only around the school's location. Then the big hits from the product featuring nationally popular players would be very desirable. The Certified blaster was decent. As always, three packs makes for a very fast break. I was happy to get some nice base cards as well as a decent Mirror Red card and autograph. As I always say, I'd rather have ink than cloth most of the time when opening up products. Check it out, I love it when card companies match the card number with the player's jersey number. That's always a neat little thing to do. 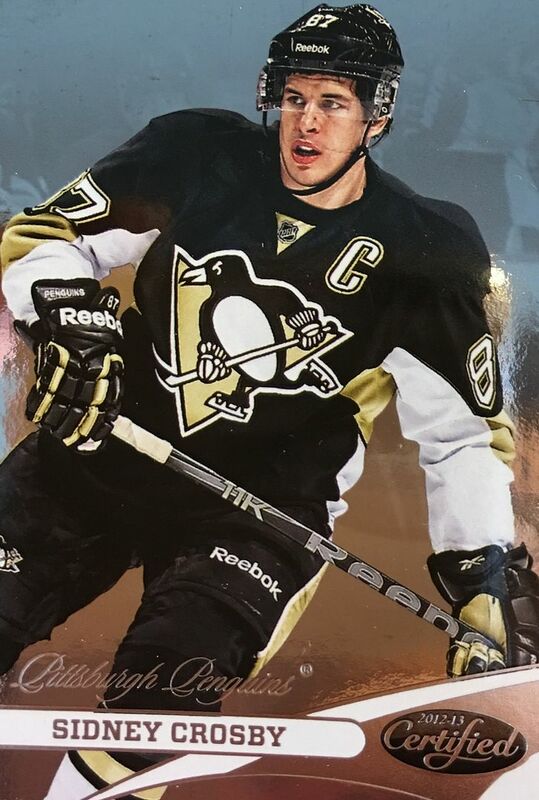 Getting Crosby is always nice a he's the biggest name in the hobby currently. Mirror Red cards are good looking cards, they are also numbered to 199. 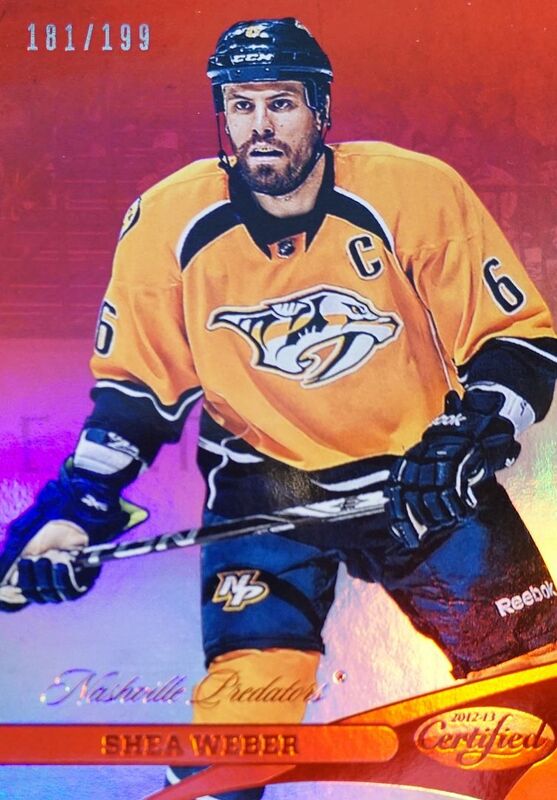 Shea Weber is a good player and a decent pull out of a blaster. 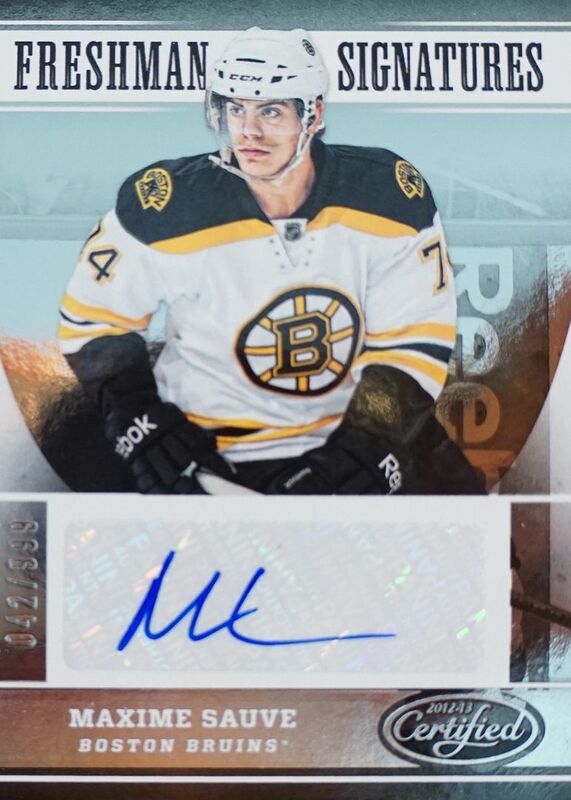 Sauve is not a big name rookie by any means, but I always appreciate getting autographed cards out of retail products. This card is numbered 042 of 999. Certified is a great product to open at the retail level. Currently, prices of a blaster box are about the same price as a single hobby pack. Considering you are guaranteed a hit in these, this is a no-brainer product to get! I definitely recommend getting some Certified if you're looking to get some nice cards and a sweet hit for no much money spent. Not too bad. As always, thanks for the weekly break! Thanks for this informative post. I think it will be help for my writing.I got new and different information from this article and i like the way of writing and presenting the information. It is nice to find such a great blog! I advice everyone to use best term paper writing service. This service will help you. I really like the picture you've posted here. It looks great. I hope you like it as much as I do.